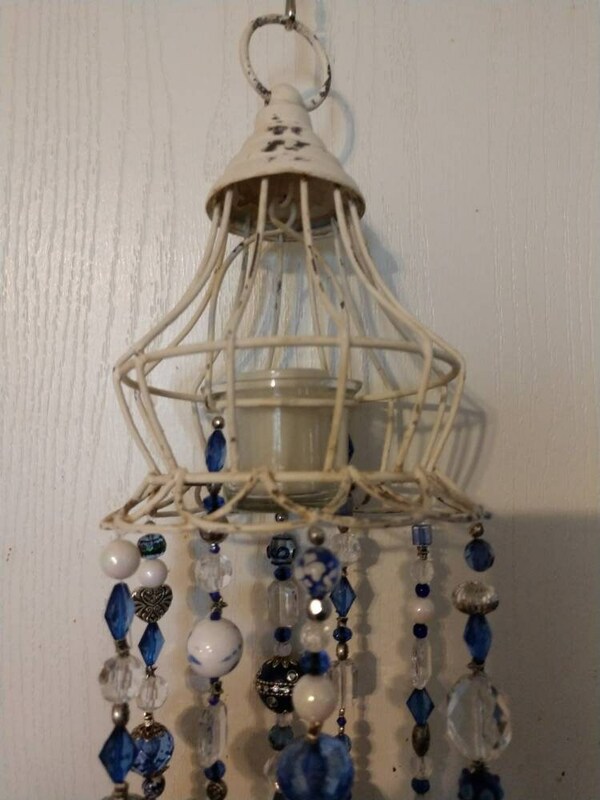 This pretty little wind chime is made from a hanging candle holder and includes a matching LED candle. 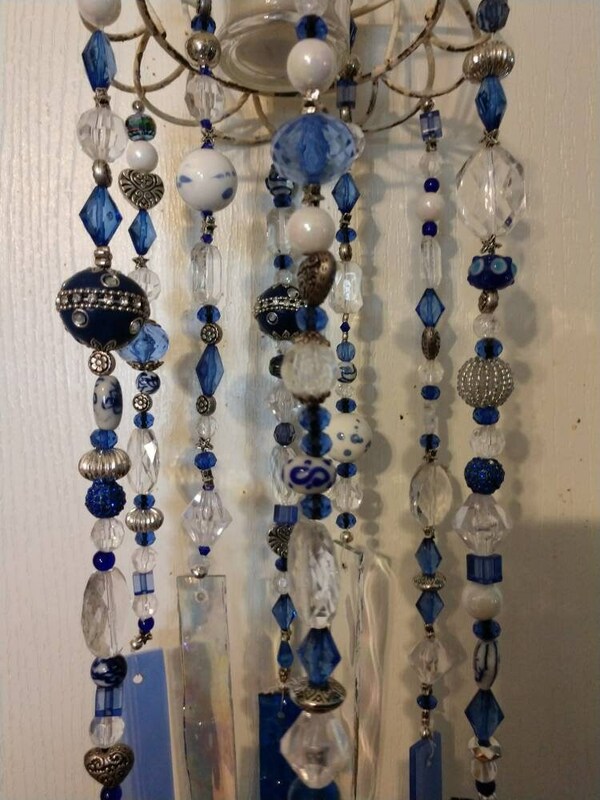 It is made using quality Spectrum stained glass and handmade and vintage glass beads. 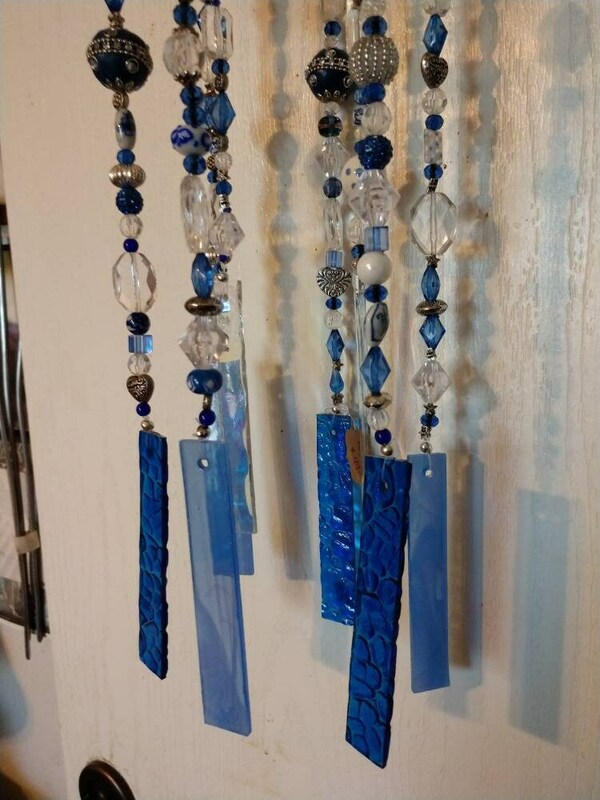 Each piece is a one-of-a-kind. Custom orders available on request.